Even if you don’t buy into the whole Lent business of depriving yourself of delicious foods and festivities for 40 days before Easter, you can still take part in the grand celebration that comes before it: Carnival. Most Christian cultures around the world have made the final celebration before the fast their own, and some are particularly worth seeking out for their sheer scale, exuberance, and originality. 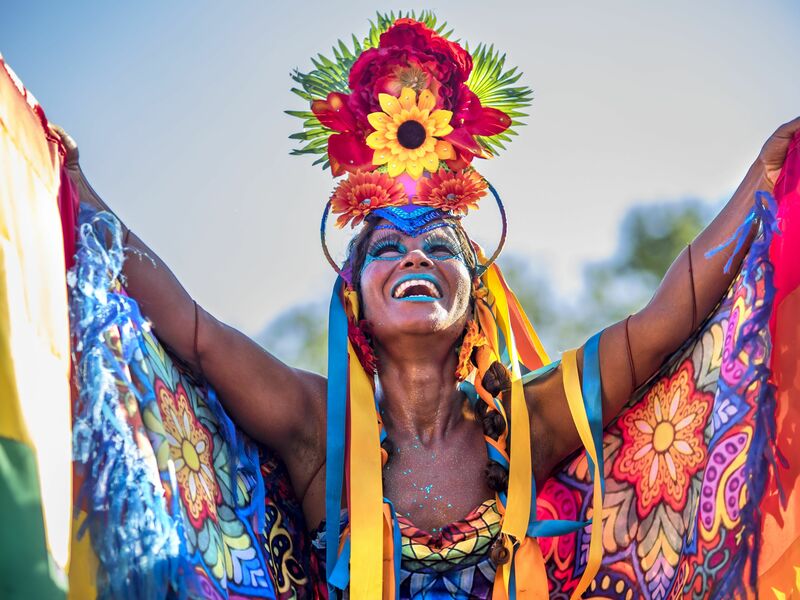 If you’re looking to tap into the spirit of a nation, want to celebrate before you stop eating chocolate for a month and a half, or simply let your hair down with thousands of local and international revelers, then these are the festivals you can still plan for this year. When a Carnival proudly proclaims that everything is allowed and your only obligation is to have fun, you know you’re in for a good time. That’s the tagline adopted by the Tenerife Carnival that takes place from February 27 to March 10 this year in the Canary Islands. This year’s theme is “The Deep Sea,” so you can expect to see fantastical marine creatures left and right. The event kicks off with the election of the Carnival Queen — a competition that requires candidates to parade on a massive stage wearing costumes that can weigh up to 200 pounds. Even if you miss this spectacle, the following weeks are full of bright parades, dance, costume competitions, and other festivities. It ends on Ash Wednesday with the “Burial of the Sardine,” a Spanish tradition that consists of people dressed as mourners parading a mock sardine through the streets and burying it, symbolically erasing all the excesses of the Carnival season. The Tenerife Carnival has the reputation to be the most Brazilian of all Spanish carnivals, so it’s pretty clear that attendees should brace for some serious partying. For the schedule of all the events, check out the program online. Most tourists know Venice as a labyrinth, canalized city to visit for living history, romantic gondola rides, and architecture. But for the thousands who make it to the annual Venice Carnival, it takes on a whole new appearance. That’s because the festival, which dates back to the 1100s and sports a long list of notorious attendees, including Casanova, is renown for the wearing of intricate masks. The festival lasts for 10 days leading up to Fat Tuesday, and you can expect elaborate costumes and plenty of late-night parties spurred on by the excitement of anonymity that only a mask can offer. 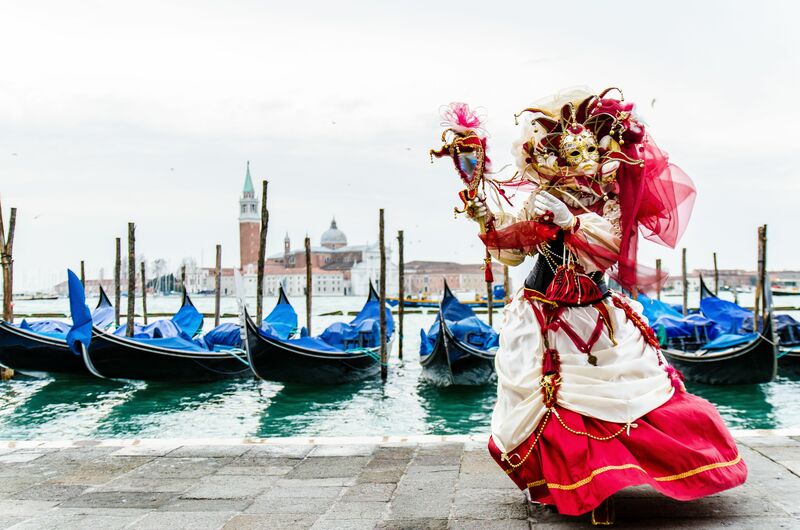 This year, the Venice Carnival will take place between February 16 and March 5, and you can view the full schedule online. 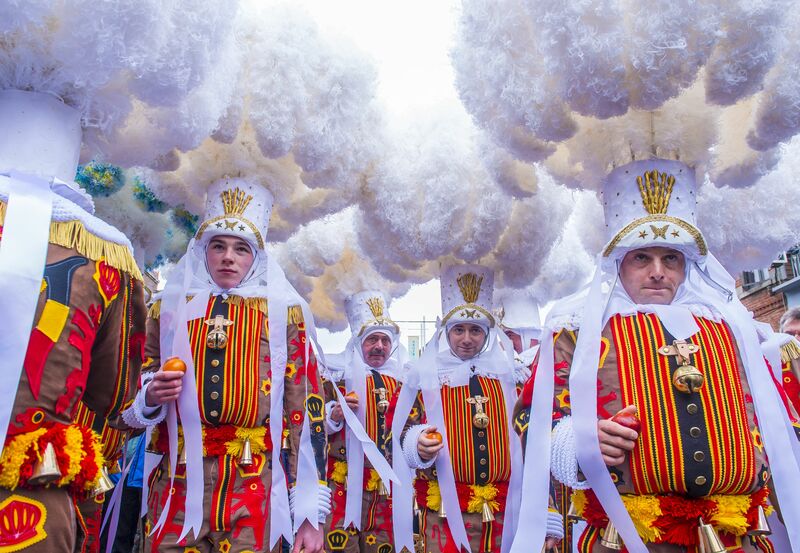 The Carnival of Binche is a popular event that takes place each year in the small Belgian town of Binche. For nearly eight weeks, the city’s residents ready themselves with several quirky traditions, including small parades with live music and performances. But between Shrove Sunday (March 3) and Fat Tuesday (March 5) the city transforms, as beautifully costumed and masked paraders take over the streets to the sound of drums and violas. Fat Tuesday (also called Shrove Tuesday), the third and final day of the festivities, is always the most important. It’s on this day that characters known as “Gilles” don wax masks, put on bright costumes with bells and clogs, wield sticks to ward off evil, and congregate and dance on the Grand Place with other participants under fireworks. The festival dates far back into Belgian history with remarkably little changes over the years, which has earned it a UNESCO declaration as a “Masterpiece of the Oral and Intangible Heritage of Humanity.” The full schedule is available online. Mardi Gras in New Orleans, Louisiana is one of the most famous carnivals out there — people travel from around the world to experience the floats, late night parties, and famous beads that cover the whole city and its people. Although Mardis Gras has its roots in Europe, the annual festivities that take place in New Orleans are truly unique. According to the 2019 schedule, the Mardi Gras Carnival officially starts on January 6 with the Phunny Phorty Phellows organizing a countdown and riding the entire St. Charles Streetcar line with crowds cheering and ready to catch the first beads of Mardi Gras. The season of parades, marching bands, and street parties come to a climax on Fat Tuesday (March 5), and the party ends at the stroke of midnight with the mayor and police riding on horseback through the French Quarter. And yes, you can drink in the streets. The annual Viareggio Carnival in the Tuscan city of Viareggio is a huge deal in Italy. 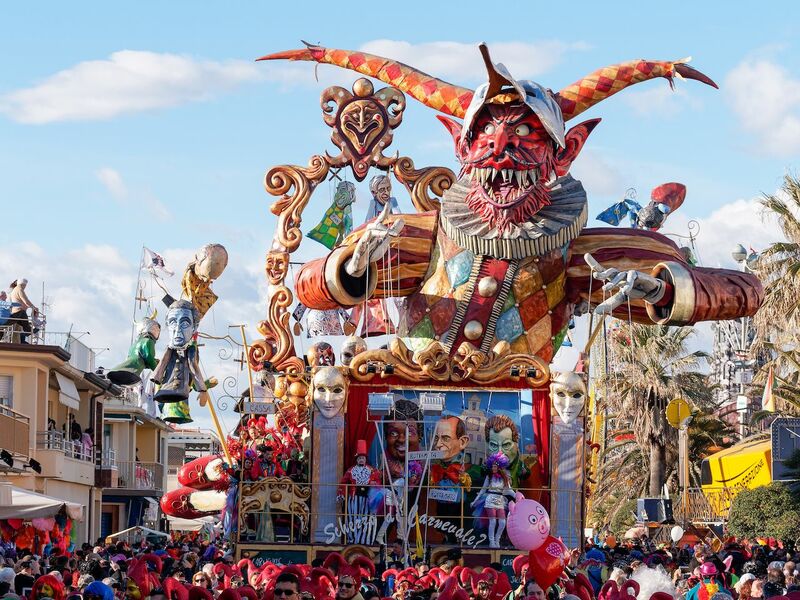 Not only is there a complex of 16 hangars, dubbed “Cittadella del Carnevale,” dedicated to the event and the construction of the huge and famous papier-mâché floats, but the Viareggio Carnival is broadcast live on TV throughout Italy every Fat Tuesday. Each year, the event attracts 600,000 spectators to the celebrations that take place until Fat Tuesday in the city’s various districts. Most restaurants, bars, and clubs get in on the action by throwing their own masked Carnival parties. The highlight of the Viareggio Carnival is the parade of massive papier-maché floats that travel on a circular, one-mile route through the city. This year, the parade is scheduled for February 9, 17, and 23, as well as March 3 and 5. A full list of events is available online. The Trinidad and Tobago Carnival starts just after Christmas and continues until Ash Wednesday, but it is officially celebrated on the Monday and Tuesday before (March 4 and 5 in 2019). This Carnival, known as the biggest street party on earth, attracts hordes of people on the Port of Spain to celebrate every year. Carnival Monday opens with a 4:00 AM parade of revelers covered in mud, paint, and grease. This early morning spectacle lasts until sunrise, at which point most people retreat for a few hours of rest. On Monday afternoon, and all day on Tuesday, thousands of masqueraders dress up in bright costumes and head out into the streets. Participants typically dance along the parade routes to the sound of soca, steelpan, and calypso music. One unique aspect of the Trinidad and Tobago Carnival is that anyone can get involved in the parade by purchasing a costume from one of the Carnival bands. Check out the full schedule of events. 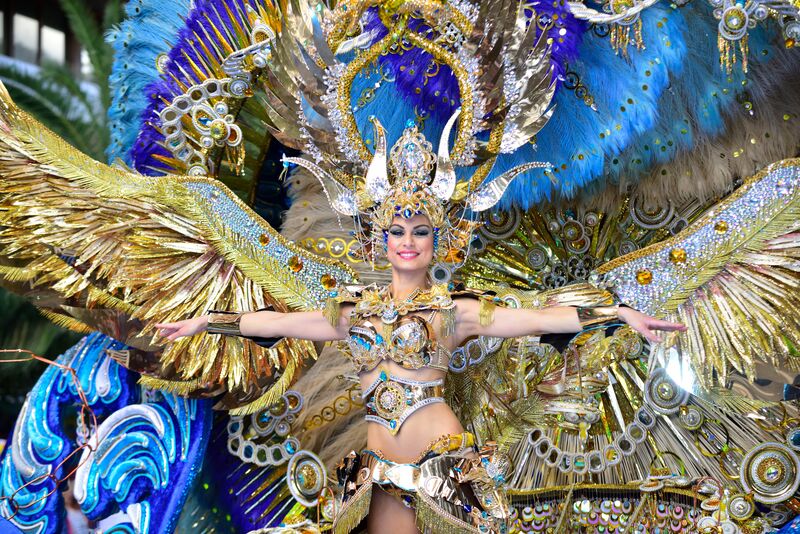 Outside of Rio, the most famous Carnival in Brazil is the Carnaval Salvador, in the northeastern state of Bahia. Like in Rio, the event comes complete with samba groups, grandstands, and plenty of festive costumes. But since Salvador is a small city, the entire place becomes one big party — the event attracts more than one million tourists. In Salvador, anyone can dance in the streets. You can go as a pipoca and dance in the crowds for free, or you can buy a T-shirt and join in a “bloco” to be more formally attached to a particular dance group. (Just carry zero valuables with you and go with a friend for safety). The final, and more expensive option, is to buy seats in a camarote. Brazilians will tell you nothing beats the Carnival energy in its northeastern states, and the one in Salvador is a week-long party that lasts all day and all night. 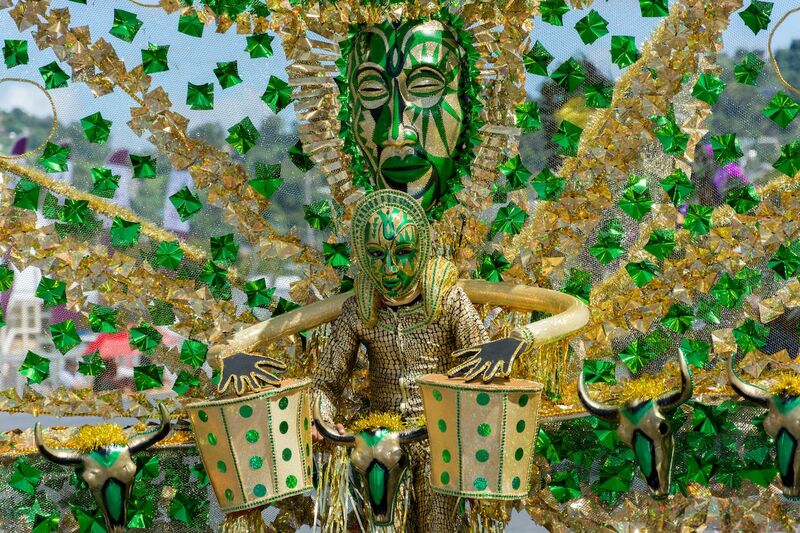 This year, the Salvador Carnival officially starts on March 2, but a few events begin even earlier, on Thursday, February 28. It ends on March 6, Ash Wednesday. The full schedule of events is available online.